With an atomic number of 47, the precious metal is instantly recognisable by its atomic symbol – Ag, which was historically adapted from the word ‘Argentums’, which is its Latin name. Silver has amazing conductive properties and has a moderate melting point. Infact, believe it or not, silver has a melting point of 961.8, placing the element right between Germanium and Berkelium. The metal has an atomic weight of 107.86. The discovery of silver was an important step for mankind and it was one of the early metals to be discovered, probably around 5000 B.C. Interestingly, the metal can be found in nature in its elemental form, as nuggets or sometimes as crystals. Electrum, a natural alloy found in the world, is actually an alloy of gold and silver. Interestingly, the quantity of silver on Earth, when compared to gold is 17 times more and the precious metal is also a rare bird in the English language, as it appears that there are no words in the dictionary that rhyme with the word, silver. Silver is a very powerful anti-microbial agent and is widely used to disinfect surgical equipment all over the world. Unknown to many, silver halides were used as an integral part of the manufacture of x-ray film. Amongst other medicinal uses, silver sulfadiazine is used to treat wounds and external infections. Even breathing tubes are lined with silver to kill germs and prevent pneumonia. Solar panels are constructed using crystalline silicon photovoltaic cells. Silver paste contacts are used by manufacturers, which are printed on these cells. Over 100 million ounces of silver are used each year by the solar energy industry. The semi-conducting layers of these cells use the energy from the sun to produce power. The industry uses another way to produce power, by using the reflective property of silver to reflect the solar energy. Collectors capture this energy and use salts for power generation. and this property is used by the industry to manufacture every kind of electrical component. From electrical switches to modern gadgets in the kitchen, almost all electronic devices are made using silver in one way or another. The reflective properties of silver make it perfect for use in manufacturing mirrors. Many years ago, mercury was used to create a reflective backing on glass. However, due to the toxic properties of this element, it has long been replaced with silver by the industry. Traditional photography used silver halide crystals to create images. When these crystals were exposed to light, their patterns would register a change, which could then be used to develop a photograph. Of course, with the advent of digital cameras, this practice is now prevalent only in special situations where traditional photography is still in use. The super conductive properties of silver were put to use by automotive manufacturers in keeping our cars heated to a comfortable temperature. Silver is introduced inside the glass used for the windows in cars, which in turn ensures that heat remains inside the vehicle, keeping us warm during winters. Due to its high melting point, silver is also used to lubricate bearings inside the car engine. The reflective property of silver is also used to shield spacecraft against harmful solar radiation. Silver is also combined with aluminium to form a very strong alloy that is used extensively by the air force. Silver is, therefore, an essential element, as well as a precious metal that has contributed immensely to human society. Equally, it is an attractive investment vehicle and a great asset class to invest in when building your investment portfolio. Call us on 020 7060 9992 or contact us online to know more about the best ways to add silver to your portfolio. 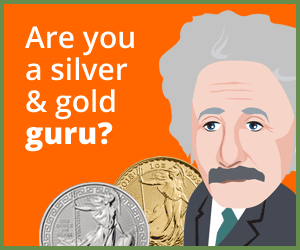 This entry was posted in Infographics and tagged Silver Investment.